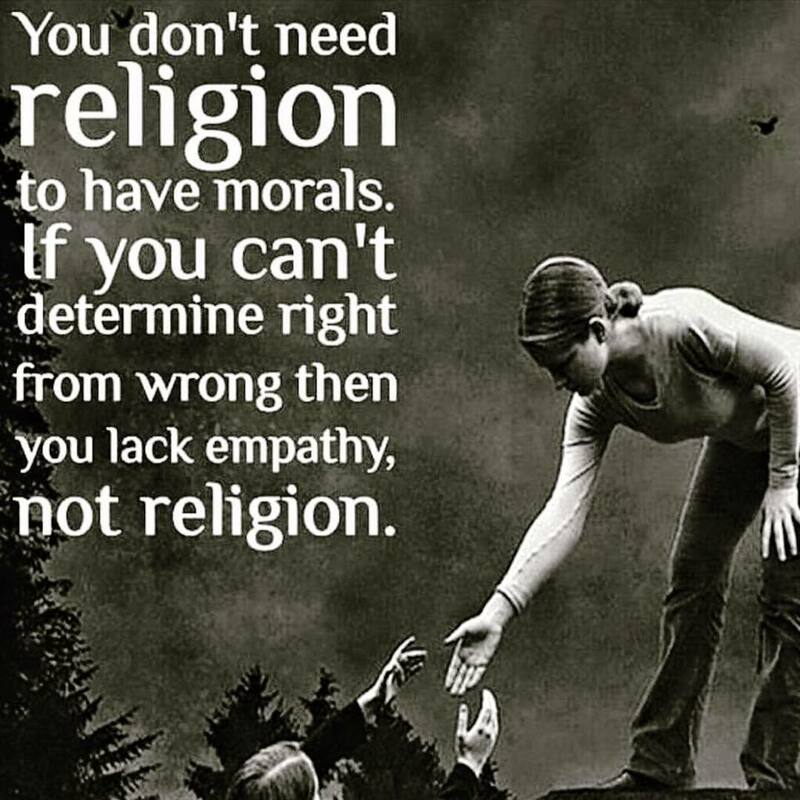 I don’t need religion to be a moral person…………….. Here is a thought for the day which I came across whilst casually reading Facebook (see Elephant Buddhadharma), and I am sure the late lamented Christopher Hitchens would have nodded in approval. This entry was posted in Intelligence, Lifestyle, Psychology, Relationships, Self-awareness and tagged moral judgements, religion. All of mankind were made in His image and reflect who God is through conscience. Even Hitch. That’s certainly a point of view and christianity is currently one of the more benign religions. And isn’t Hitch played by a member of a cult called Scientology? Point of view ? As are your statements. And we are all entitled to our points of view. That’s what free speech is about. I don’t begrudge you yours. As the poster of the original blog I would simply ask for your evidence that “all of mankind are made in his image and reflect who god is through conscience.” What you and all your co-religionists rely on is faith, what scientists rely on is evidence. Why next you will be telling me that the earth is only 6000 years old and that man lived at the time of the dinosaurs, both of which have been scientifically disproven. All that you can rely on is a book written several centuries after the alleged existence of Jesus, written based on memory and stories passed down, a bit like folklore tales. I was brought up by parents who never went to church and neither did I but they imbued me with a set of values which enables me to distinguish between right and wrong, good and bad, so I don’t need to rely on a mythical for a moral compass. Religion is about male power and control, hence the mysoginy and discrimination against women in every religion I can think of, and this is not the world that I wish to inhabit. I gather you are a PR outlet for the Mormon Religion and I have to say that I rather admire your prophet Joseph Smith who took 40 wives, it simply serves to illustrate that mormons are not that straight laced and do like a bit of “rumpy pumpy” and perhaps the occasional wife exchange. Thanks for the update. I didn’t realise I was conversing with the Mormons. But as I said I believe in free speech so the more the merrier. Mormon?!!! Sorry. I thought I could possibly engage in an Intelligent conversation. For you to make a conclusion like that tells me I’m in the wrong blog. I Googled Christ Centred Teaching and it came up with a link to the Mormons as I couldn’t work out which “branch” of christianity you belonged to. But in a sense it is irrelevant as you all seem to believe in a mythical deity for which there is no evidence of existence and I have to say a track record that begs a lot of question e.g. Spanish inquisition, witch burning, support of slavery………..I could go on. God is referred to as “father” and any responsible father looks after and protects his children from harm, so tell me why did he stand by and let 6 million jews be exterminated, why did he not intervene? And no, I am not Jewish.